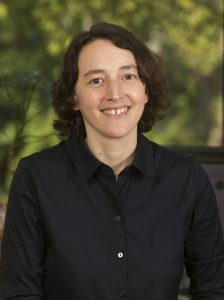 Sharon Weiss is a Cornelius Vanderbilt Chair in Engineering and Professor of Electrical Engineering, Physics, and Materials Science at Vanderbilt University. She also serves as Deputy Director of the Vanderbilt Institute of Nanoscale Science and Engineering (VINSE). Prof. Weiss received her Ph.D. degree from the Institute of Optics at the University of Rochester. Her research group primarily focuses on silicon photonics for optical biosensing and optical communication, as well as hybrid and nanocomposite material systems. Prof. Weiss is a Fellow of SPIE and OSA and has been awarded a Presidential Early Career Award for Scientists and Engineers (PECASE), an NSF CAREER award, an ARO Young Investigator Award, and an IEEE Photonics Society Distinguished Lecturer award.